In addition to being a freelance writer for clients I'm also a professional blogger and Web developer in my own right, running several different types of websites over the years including dozens of different blogs. That experience lets me appreciate the value having multiple blogs can bring through exposure, new contract work if you're looking for it, and product sales. But running multiple blogs isn't easy, and it isn't for everyone. Might it be a good option for you? Here are a few situations where it might make sense for you to launch more than a single blog. You're blogging for pleasure and you have multiple distinct interests you want to talk about. "All-encompassing" blogs can actually be more difficult to build a following for and more difficult to rank well in search engines due to lack of targeted branding. You're blogging as a part of running your business and you need to target multiple unique target audiences. 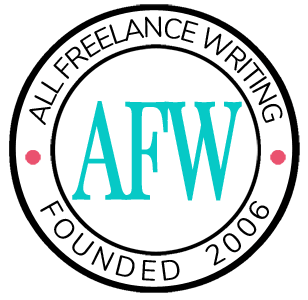 For example, one market of mine is other freelance writers because I sell products for you. Another would be small businesses interested in hiring a business writer. I have different blogs that appeal to those different groups. You write under multiple names. If you use a pen name for some work (or more than one), you might want to consider a separate blog for that other "brand." For example, I'm working on my first mystery novel which will be published under the pen name Aria Klein. I'm currently developing a new professional site and blog for that name both for branding and because fiction is a topic I don't discuss much on my other sites. You might do the same if you're a content writer who uses different names to write about different specialty areas. You have the time to dedicate to multiple blogs. This is a big one. Blogging takes time -- a lot of it if you want it to rank well and build a significant following. I've been at this for years and I still find it sometimes overwhelming when you factor in the admin, updates, back-ups, writing, editing, etc. -- not even to mention working with other contributors and creating non-post content like a new podcast series we'll be launching this week. I meet a lot of freelance writers who question whether or not they have the time to devote to one blog. If you're struggling with one, you might want to wait on your new blog idea. If you can find ways to blog more efficiently on your current site and you have an interest in a new blog, you might be a good candidate for managing more than one. I have others that are sitting around waiting on me to decide what to do with them, like one featuring free online courses from respected schools and organizations which I'm considering new branding for. And then there are several in development, mostly tied to the new fiction writing side of my business, including AriaKlein.com, MurderScripts.com (the site for the upcoming mystery book series and related ancillary products), and QuickMystery.com (a blog where I'll publish short mystery stories to help me build my fiction platform before releasing the first book). It sounds like a lot, but when you're highly organized you can make it work in the long run. Tomorrow I'll share some tips and simple organization tools I use to keep things straight, help me map out plans and goals for each site, and keep them updated as often as possible. How many blogs do you run? Would you like to start another one, or do you feel it would require too much of a time commitment? Do you think you could streamline the process to make multiple blogs a more realistic option for you? Leave a comment below to share your thoughts. And I thought I had a lot of blogs, Jenn! 😉 Let’s see: I have the writing blog, which I update regularly; the client blog, which I update less regularly; about 6 blogs on WordPress and blogger that are sitting there doing nothing – I haven’t touched them in ages, but am reluctant to get rid of them; I have a new books blog on Blogger which I update pretty regularly. I also blog on a volunteer basis for a local non-profit (I count that as mine, since I do everything on the blog). So, 3-4 regularly updated; 5-6 dormant. I’ve got another new one on the cards, too. I’ll be interested to hear your multiple blog management tips, as with all the client blogs added in, it can be a challenge. As a sneak peek, I will say that one of the biggest factors I’ve found in better blog organization is browser-specific. So for anyone interested in multiple blogs who isn’t using Chrome yet, I highly recommend the switch. That, or you’d need to look for extensions and add-ons for other browsers that might give similar functionality. I’m using Chrome, so would be interested to hear which tools you think help you with blogging. I use Feedly for keeping up with feeds and Clicky for blog stats – what else would you recommend? I don’t use much in the way of add-ons. The absolute must for me is Speed Dial. It makes accessing your multiple blogs so much faster than using other bookmark tools and they’re there waiting for me the moment I open my browser. Then I just go down the line — click, click, click — and have the morning basics done in a sort of assembly line style in a matter of minutes. Makes the daily admin so much easier. I currently run three. That you handle so many simply amazes me. I would love to post at least twice a week there, but just don’t see that happening. I’ve debated about dropping it, but I am not sure I want to do that either. I know-indecisive. I look forward to your organization tips. I’d like to better manage the process. Healthcare seems to me like a niche where readers would be more understanding about less frequent postings. I can confidently say that you can run a successful blog on one weekly post. You just have to make that post as awesome as you possibly can. And with that niche where heavier research would be the norm, I can’t imagine readers getting too upset by it. I would normally suggest inviting guest posters or something, but I also have to imagine that’s a tricky niche with a lot of potential legal issues when you’re not the one in charge of fact-checking. So it sounds to me that you actually have a decent system in place with frequency. Of course I don’t regularly read healthcare blogs, so the audience may be more demanding than I’d guess. Ergo, my dilemma to put more into until I build up the traffic or let it go. In that case I’d say to think about how you really feel about the site. Maybe take a break from for a month. If you miss it, come up with a re-launch plan to give it a real boost when you bring it back. If not, then consider it more time to put into the sites that are working out well for you. Sometimes even blogs we love just don’t work out in the end. I had that problem with NakedPR (now rebranded and with a slightly different focus) and my old book marketing blog (which was merged with this one). There are only so many hours in a day. And some blogs and audiences will require more effort from you than others will. If you have a few that are time-consuming you have to decide which are going to help you reach your goals the best. Or hire people to help out. If I had to personally post here every day I’d never get anything else done since it’s such an admin-heavy site on top of the writing. You either eventually find balance and a plan that works, or you end up letting them go. I just started a blog and this time there is a bit too much to learn (e.g. how to get a functioning RSS feed, how to get widgets to work, which widgets to pick), so for now it is just one. I’m just going to experiment for a while before deciding whether to try having additional blogs or not. I’d be curious to know from everyone with multiple blogs (or even one established blog): What are the benefits? Do you get work? Profit? How long until it was effective for work? Do you assess periodically as to whether you will invest more time or less and by what criteria? I have several blogs and though they all have a reason to be, I sometimes think I should have more of a strategy. My main business blog, onourbikes.com is very much about personal brand, is opinionated, and is on general business issues. I find this means I can talk about anything; essentially just be myself. I hope this helps my freelance writing on general issues or indeed anything anyone wants a piece written about. If anyone wants me to connect them to get help for their businesses this should be the main channel. I have two blogs relating to relating to tax because I continue to run a tax practice. They can be quite technical and I write far less often. I try to deal with current issues and it is difficult to write generic stuff with a long shelf life anyway because of continuing changes in legislation. I have a Posterous blog for occasional pictures and video. I am not sure there is a right balance. The main thing is to be out there. I used to worry about being seen as a Jack of All Trades but now think that if people know me they will relate to me and trust me in whatever way they wish to engage with me. As my old teachers used to say “he must try harder”. I know here we have a lot of affiliate products and relatively high paying keywords in that niche. If that’s similar in the UK, why not focus on your own sites a bit more first to earn some money that way (and to build more authority status which makes you even more attractive to those other markets)? And do you only want to write articles or would you be open to other types of writing in the niche? Thanks, Jenn. I really appreciate your advice. These are great ideas to earn some money. Thank you very much for taking the time to think about my issues. I don’t know if John is still reading the comments, but I’d be curious to know whether blogging with the Jack of all Trades approach equals more work with clients in his tax business? How would you even know the work came from the blog. Also, when I’m reading all the different types of blogs that people have, perhaps for some people the goal isn’t just monetary or “buy this” but as means of having fun, being creative, etc. I’m already tempted to try another blogin a few weeks, although I’m already afraid that it may distract me from paid work. Sarah, my general business blog is driven because I have a lot of opinions about small business in the wiser world, and as far as possible i try to give as many tips as i can, especially for start-ups. On the back of that I have a large network of business advisers in many different niches and if I can find them work I get paid a commission, so if you like I would get affiliate fees. These are formal arrangements for members of a particular organization and I still refer those in my general network for no fees as we all should. The business blog does help me be found generally for SEO purposes, drives traffic to my tax website / blog and everywhere it is clear that my particular expertise is tax. If I just blogged about tax, for most people it would be a real turn-off because it is a narrow subject confined to one country, unlike say a marketing blog which would cross all borders. Yes, I do enjoy writing On Our Bikes (onourbikes.com) but maybe it needs to pay for itself at least with some affiliate links. I just wanted to say thank you for sharing your insights. I did check out your blog and momentarily wondered about how it was related to taxes, but found the posts and topics very accessible. Now that I see your comment, it makes sense and seems to be a thoughtful approach (as in, I think you are correct, people are not going to read much about taxes, and your stories have a human element that could reach readers around the world and definitely help with SEO). In the end, it sounds like it does also equal work for you or your colleagues. Anyway, it helped me; your approach to blogging is one of the first that I’ve understood. I probably need to put more thought into what a goal behind a blog is. I have 3 blogs, most of them new, and I’m trying to look for the best way to manage them, I have a full time job . I was thinking of managing them every other day or maybe 2 days straight for each blog per week. Do you have better suggestion? What do you mean by “managing” them? If you just mean approving comments and deleting spam — admin work, I’d do that every day you can. If you get a lot of comments, you might only respond to them a few days each week, but you can still manage them in the sense of approving them. If you mean posting new content, there’s no reason you can’t cut back to the schedules you mention and see how it works out for you. You certainly don’t have to do that daily. In that case, you definitely don’t have to do that every day. Decide how much time you want to put into promotion. That’s where I’d start. Then create content around that. If you’ll only have time to promote one post per week (depending on how much promotion you want to do), then write once per week. If you have more time to promote fresh content, increase that posting frequency. You mentioned before that you could alternate days or do two straight days per blogs. Since we’re talking about putting up new posts, I’d lean towards alternating. Two in a row doesn’t leave much promotion time for the first post before you publish the next one, and it leaves much more promotion time for the second. So I’d spread them out a bit more. So, I made my schedule like this, I write a post for each of my blog for an amount of time each day, no matter how many days I finish it. For managing (maintenance mode) I do them alternating, so even if I finish my blog post for one of my site, I don’t post it that until the scheduled day of managing that site. There is no single “right” strategy. It all depends on your niche, your market, your budget, your available time to commit, etc. For some, it means running multiple blogs to diversify income (what I do). For others, they prefer putting all or most of their attention on a single blog. Either can work.